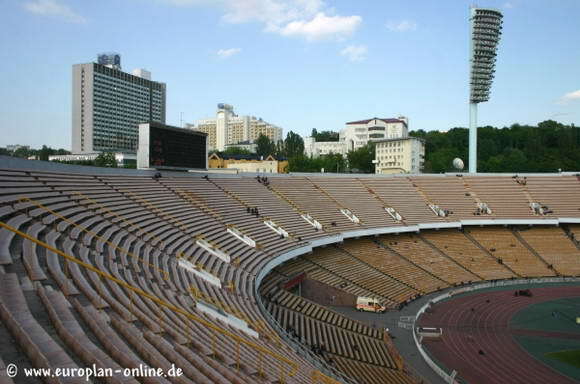 When opened in 1923, it was called the Red Stadium of Leon Trotsky. 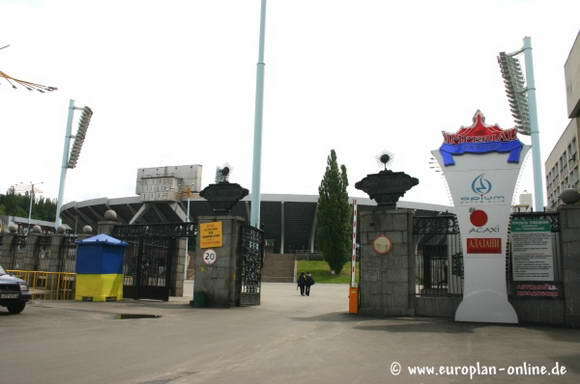 A year later patron was dropped and only “red” remained in the name. 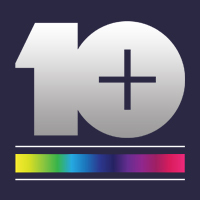 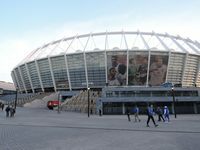 From that time official naming has changed 8 times (!) 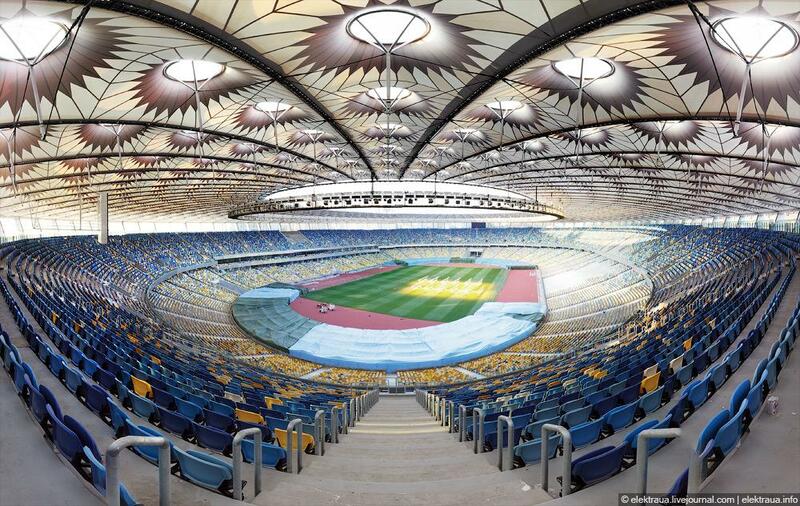 to end up with a rather neutral National Sports Complex “Olympic”. 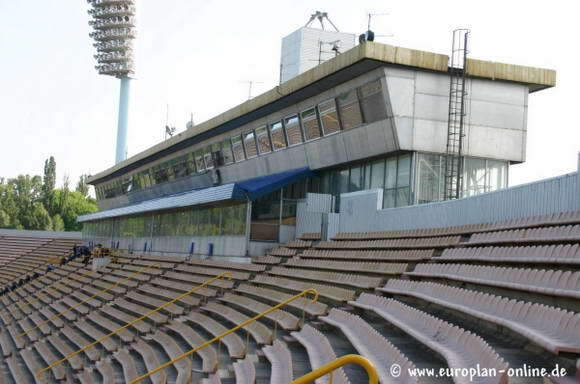 During its long history it has changed several times and in fact what we see now is not the actual stadium from 1923 – that one was dismantled in 1936 and reopened in 1940’s. 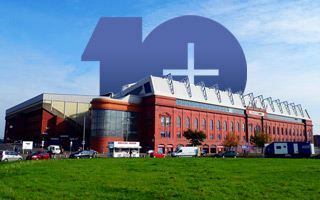 In the 50’s it got a new main administration building and floodlight masts and in 1966-67 the most important redevelopment took place. 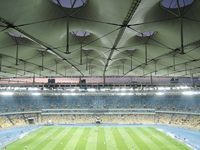 New second tier was erected above the previous bowl dug below ground level. 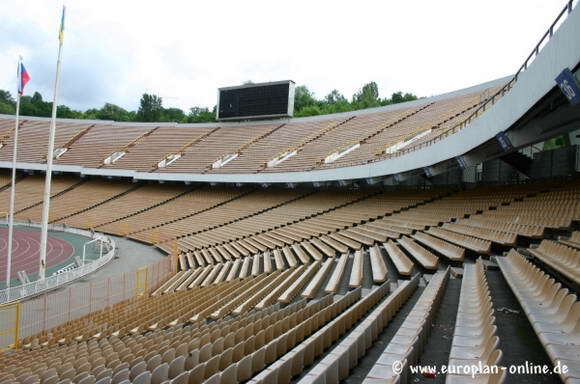 This allowed for capacity to double from 1940’s 50,000 to 102,000. 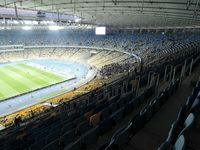 Olympic, or should we say Central – as it was called back then – became one of the World’s largest grounds, but began losing capacity with further modernization works. 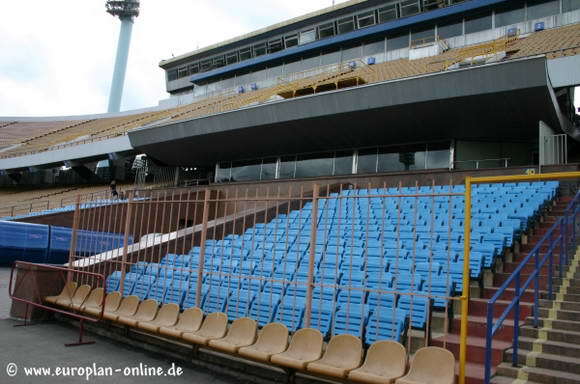 In 1990’s seats were installed with the total number at 83 450. 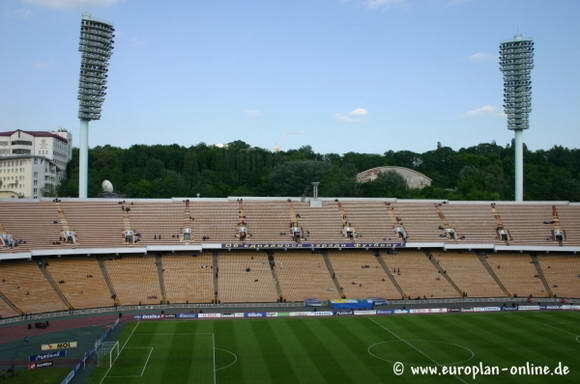 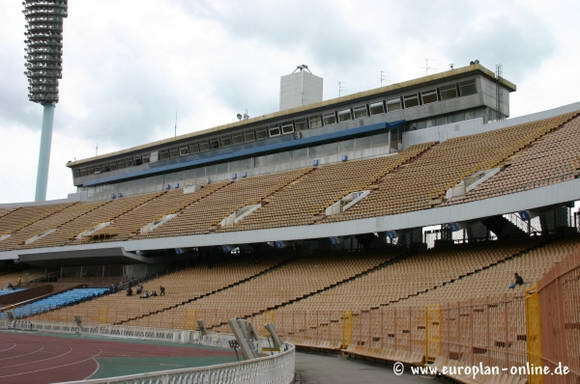 And finally in 2008-11 stands were slightly remodeled and after all seats changed and main stand having a lot more corporate space, capacity dropped again, this time to 70,050. 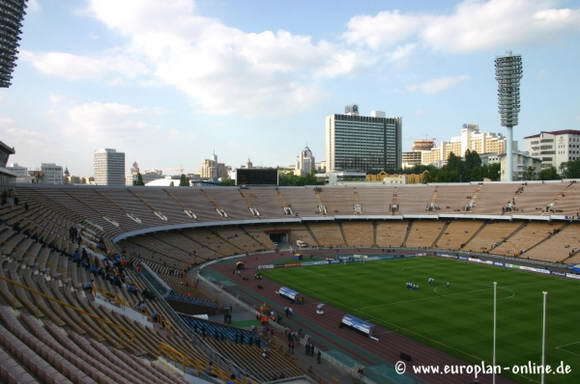 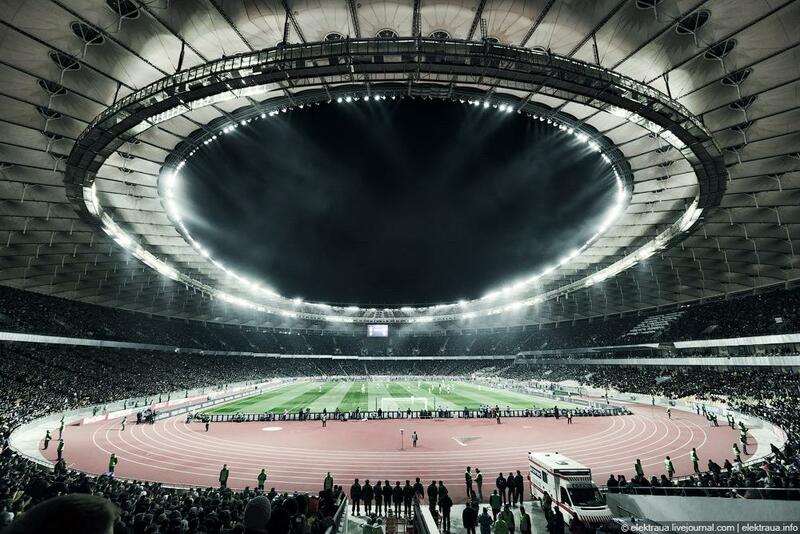 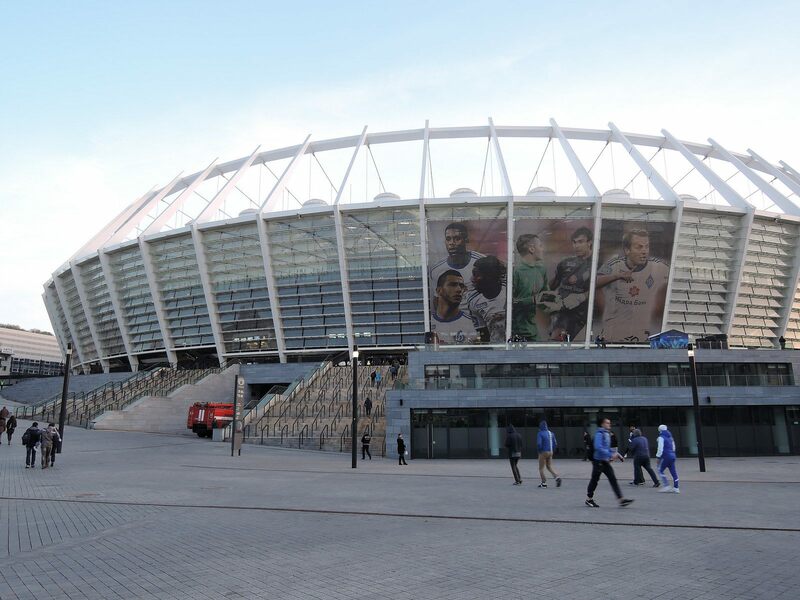 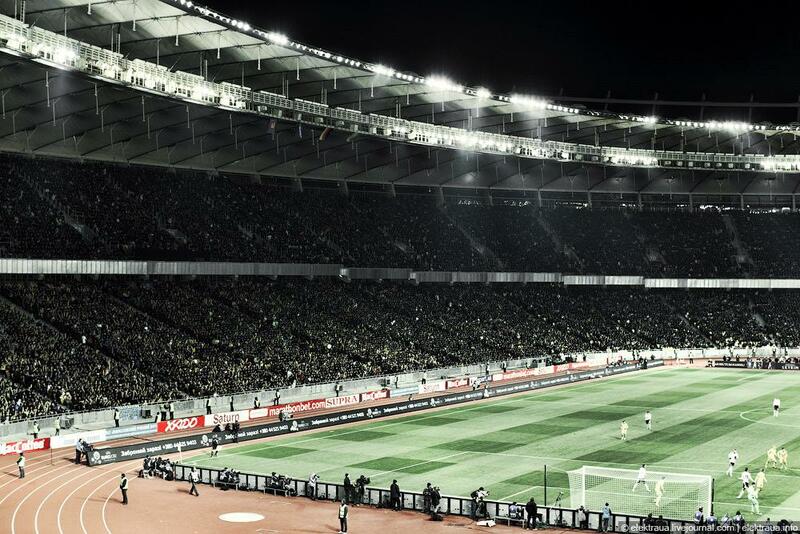 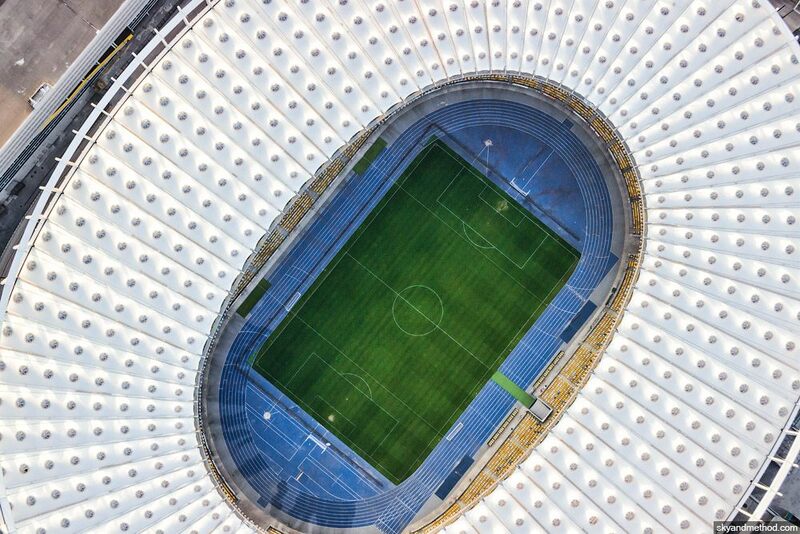 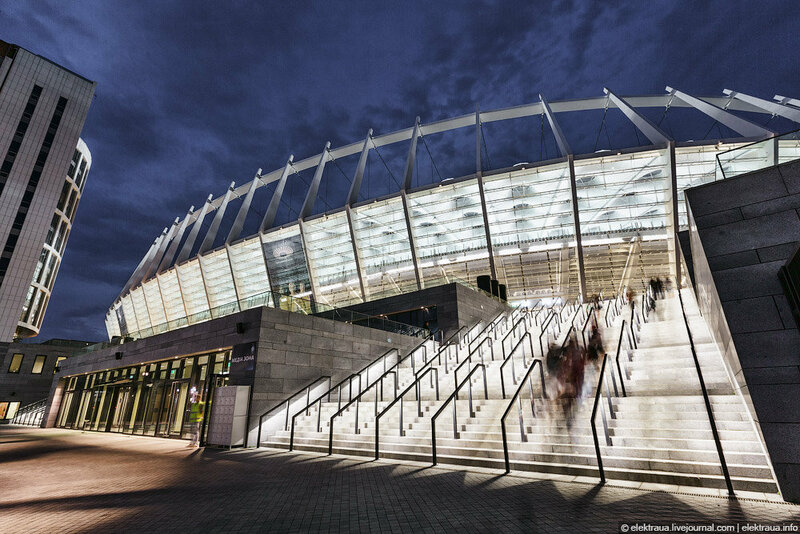 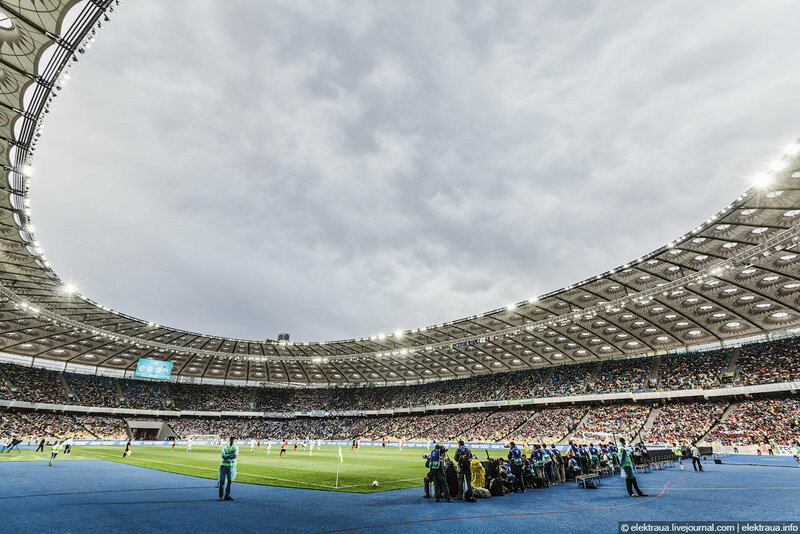 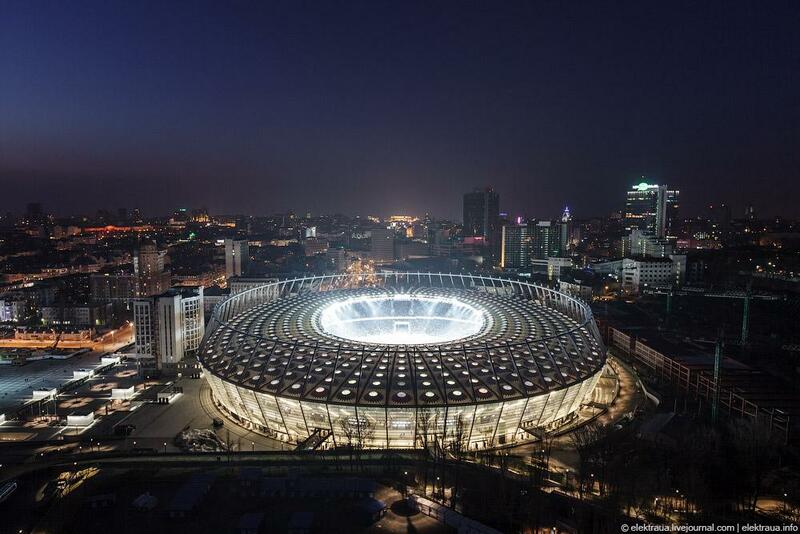 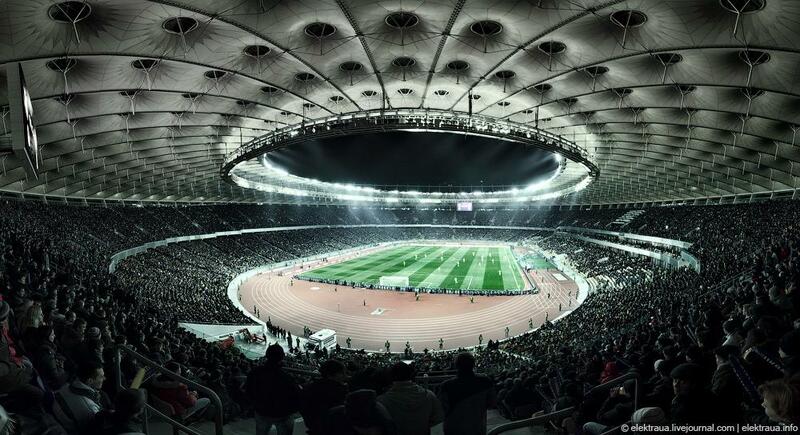 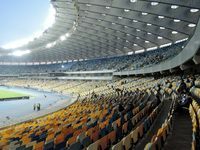 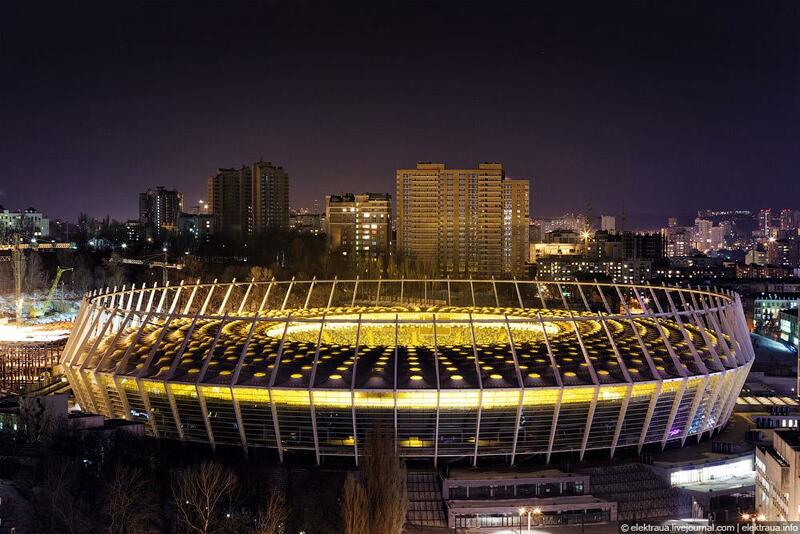 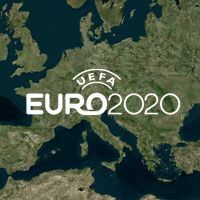 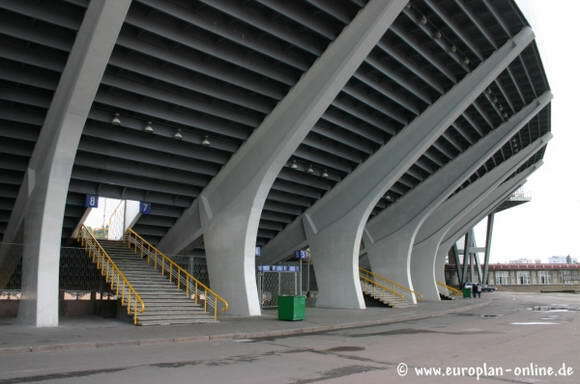 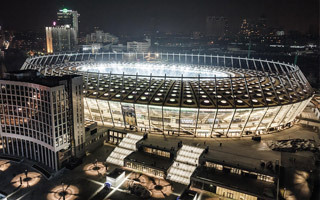 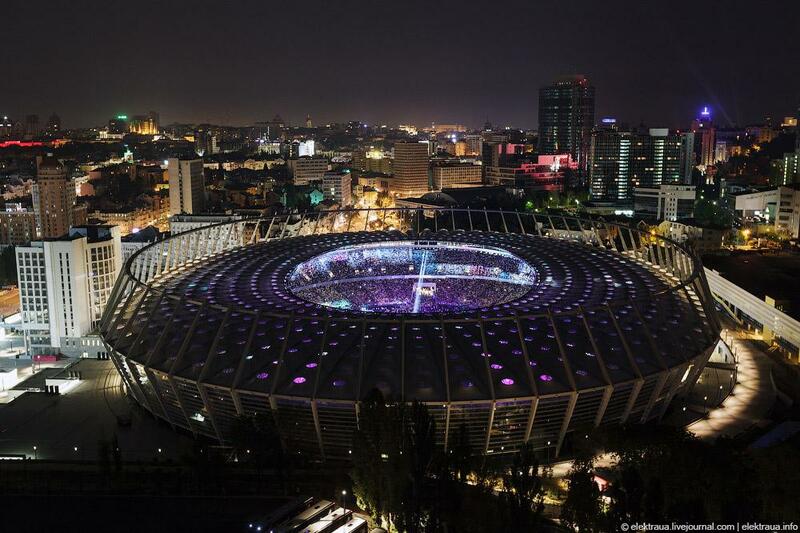 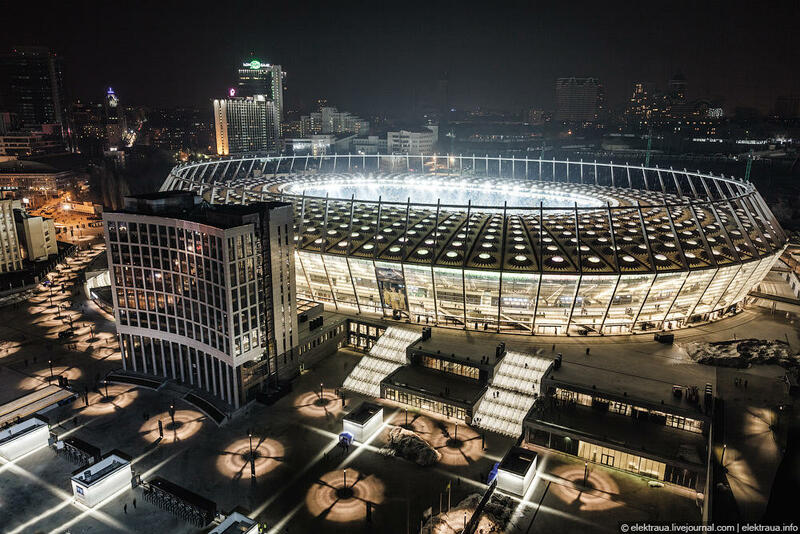 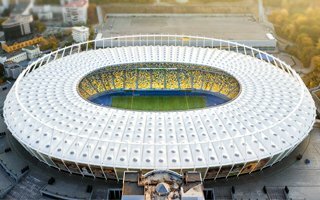 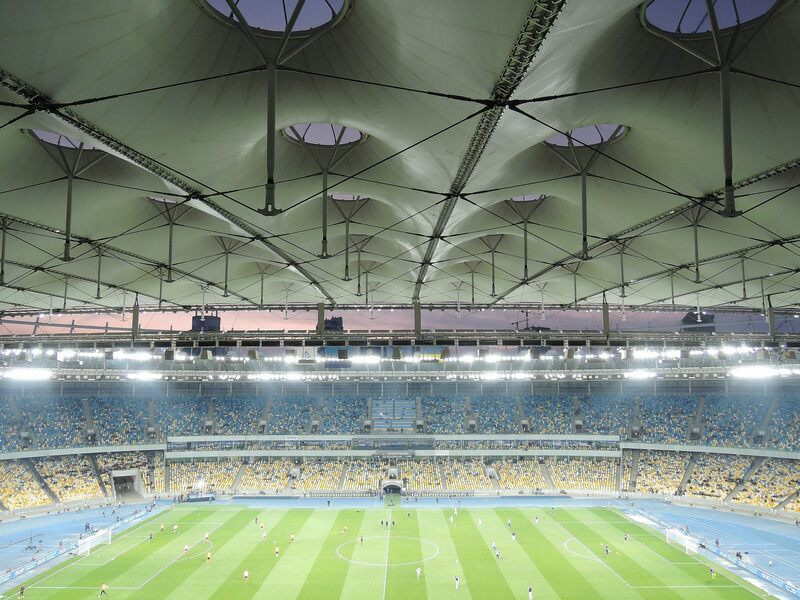 Last redevelopment, during which the ground received its monumental façade and giant membrane roof, was done for Euro 2012. 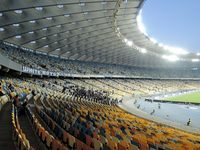 NSC Olympic was chosen as the tournament’s final venue. 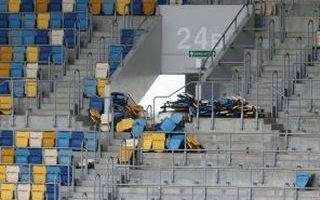 This was however not the first time as the name suggests. 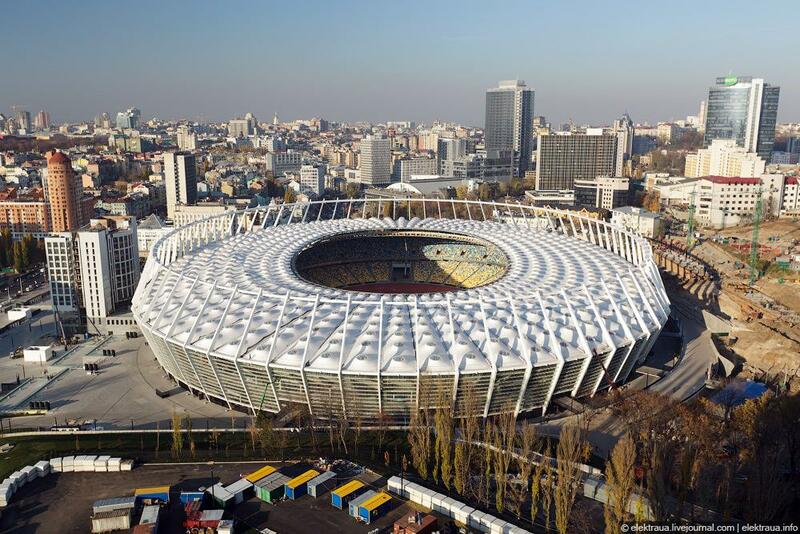 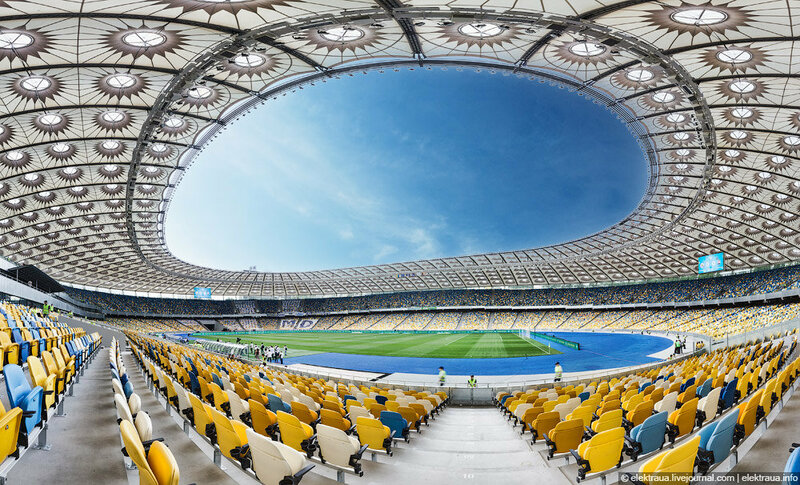 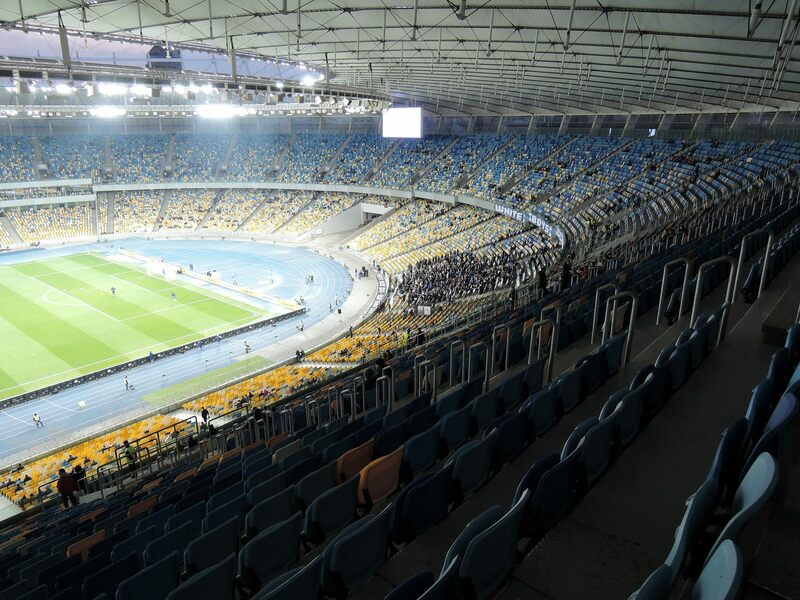 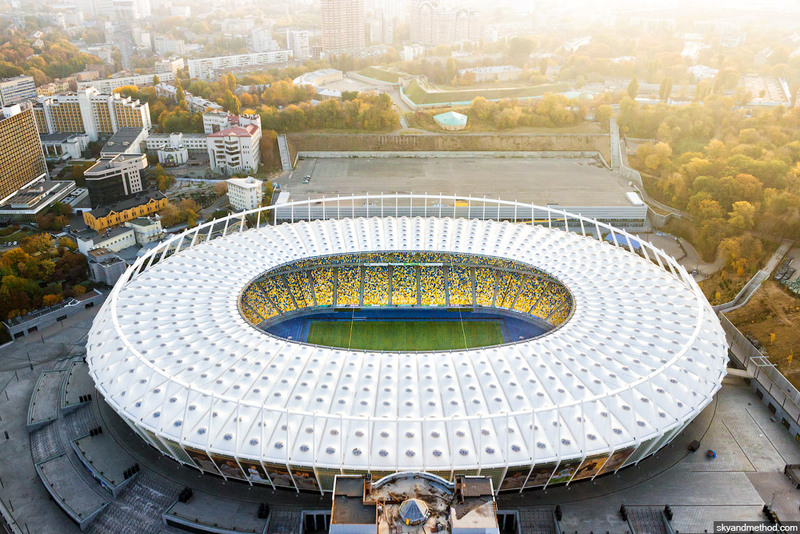 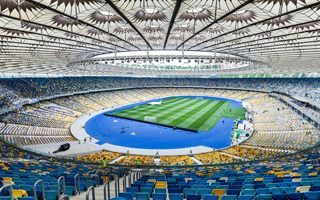 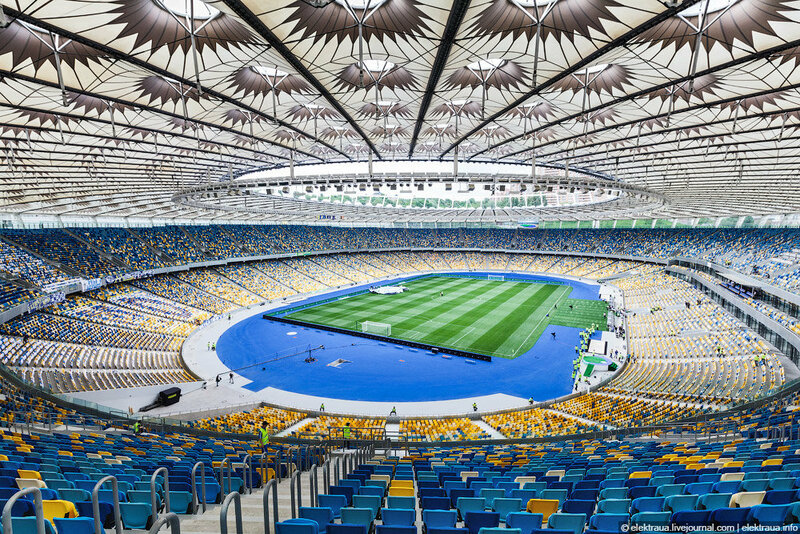 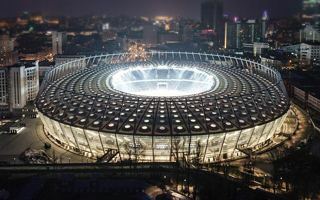 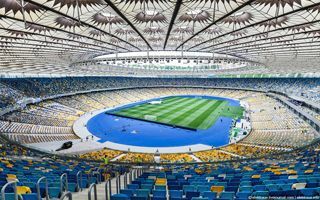 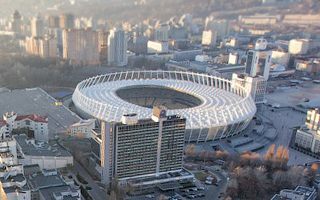 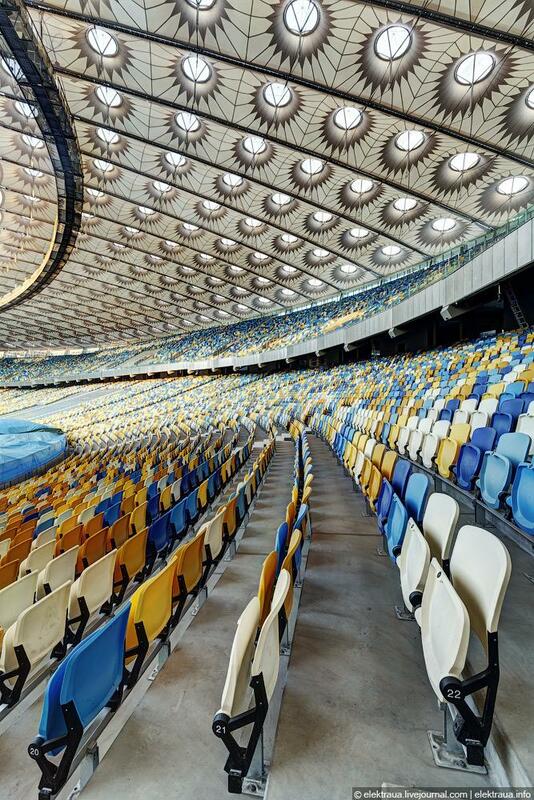 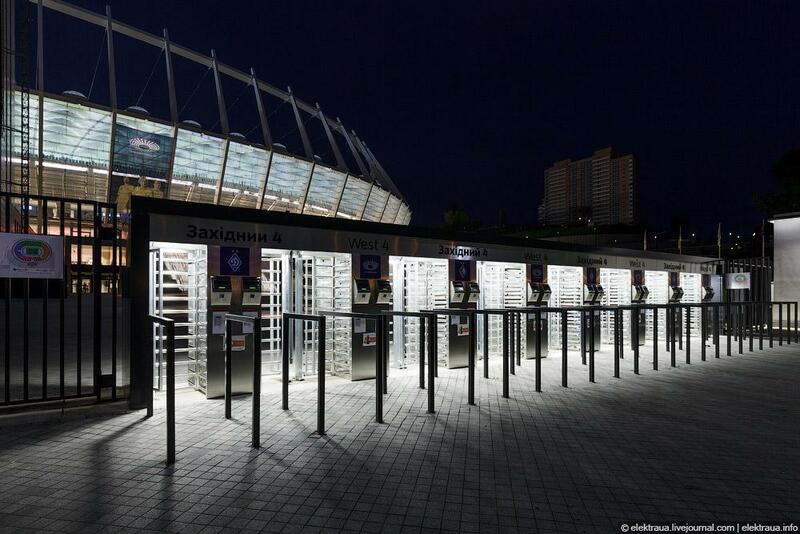 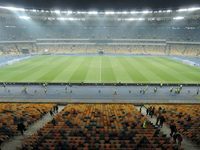 Olympics have already taken place here in 1980, when Kyiv was a satellite city to Moscow and second most important for the football part of the event. 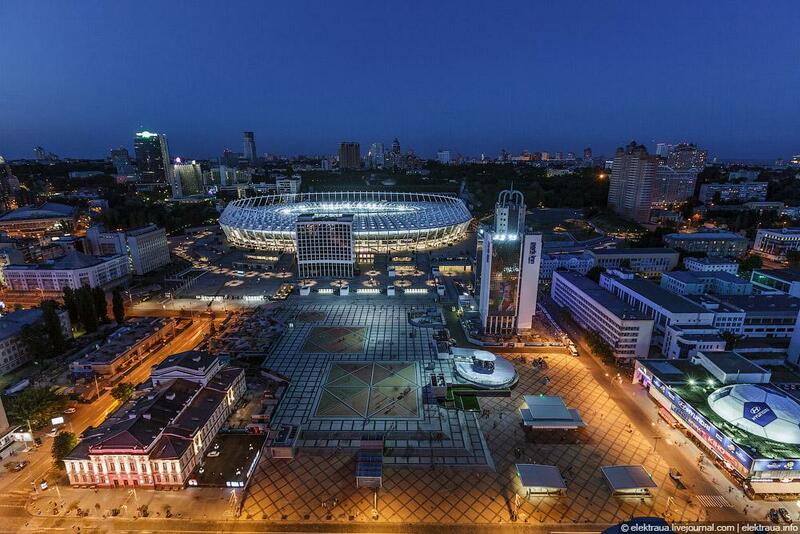 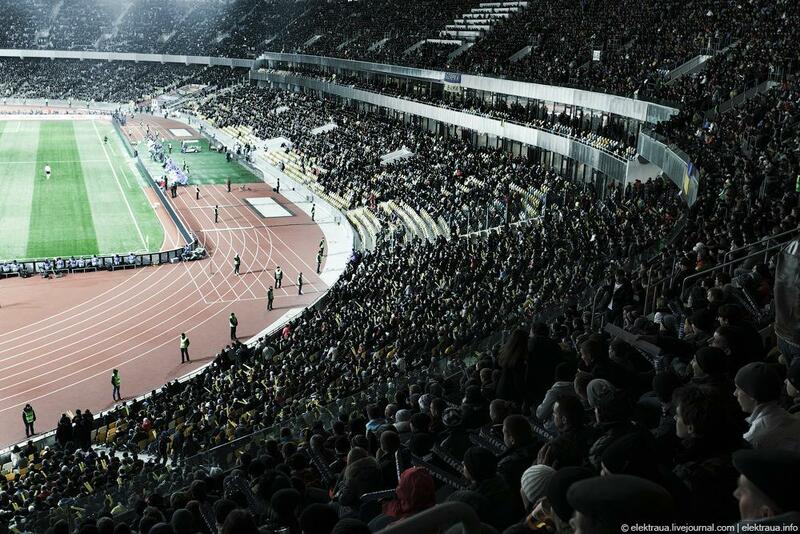 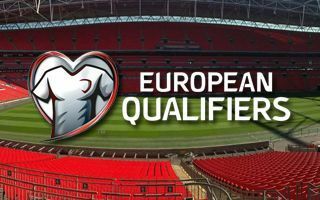 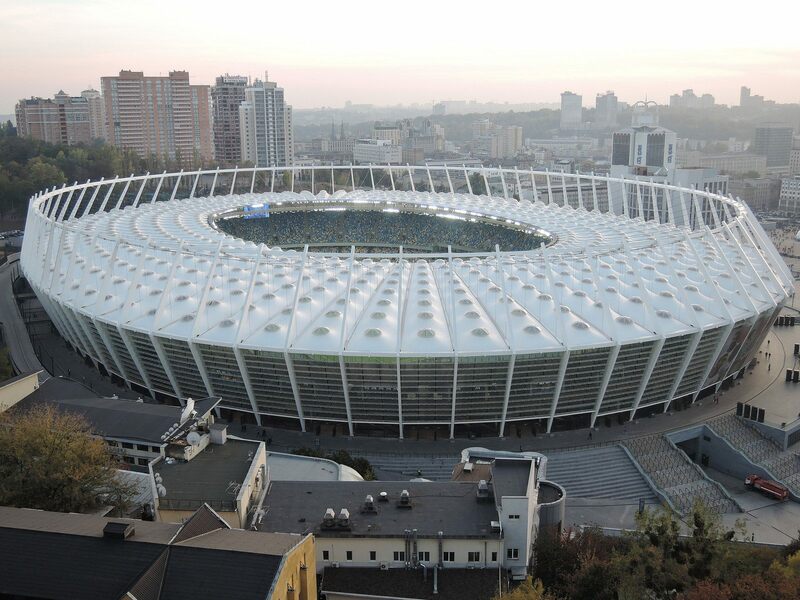 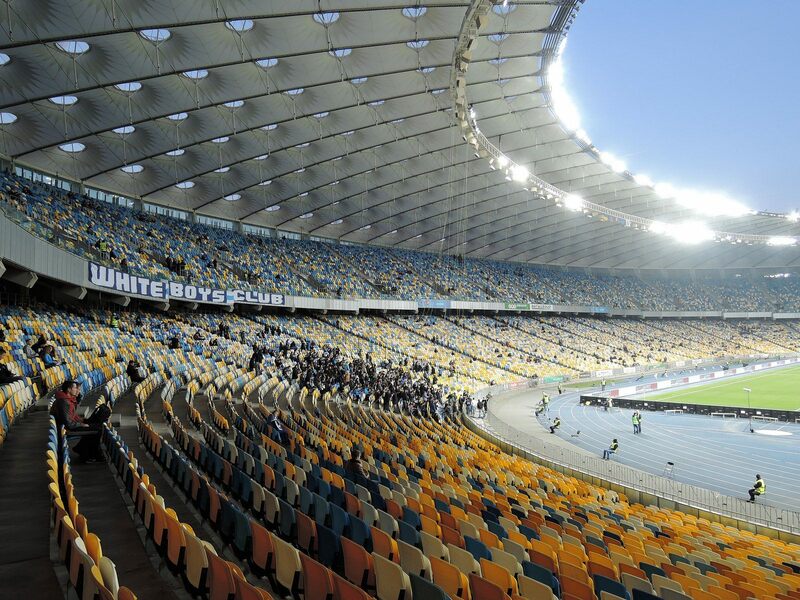 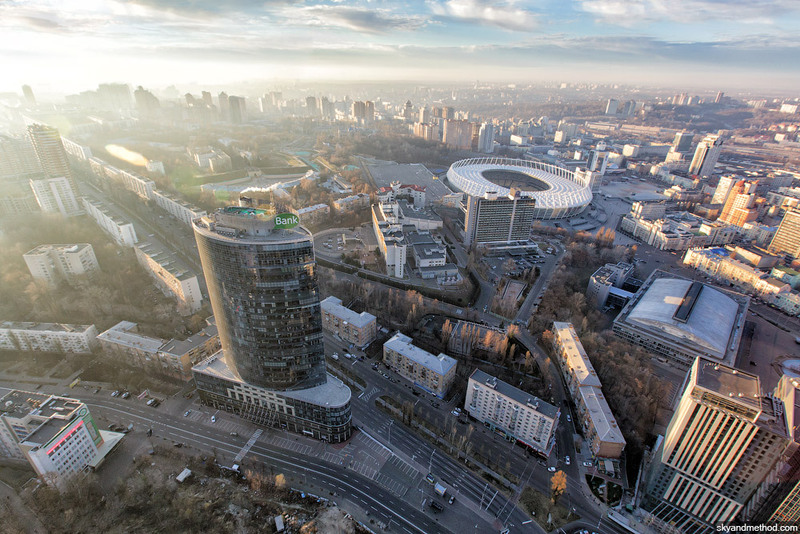 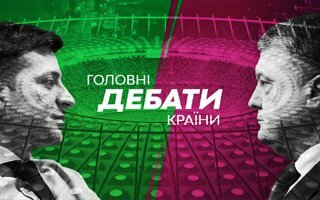 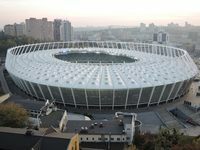 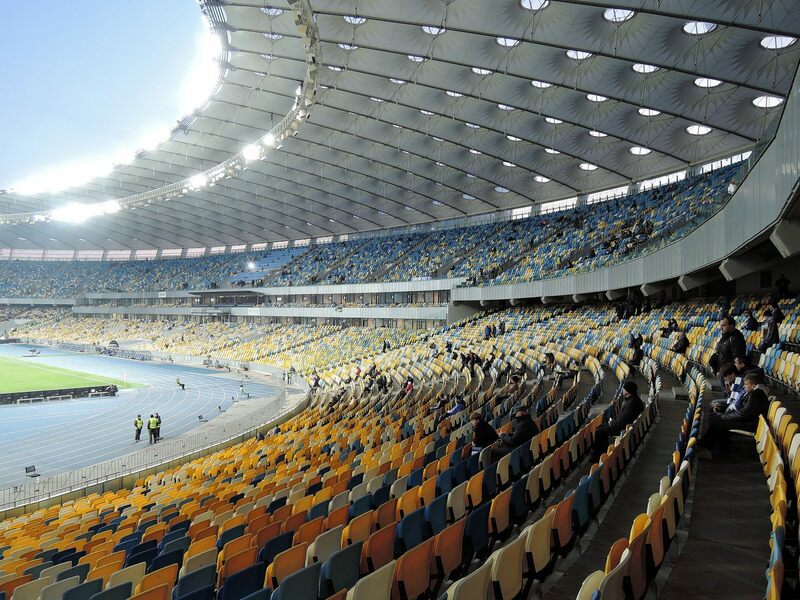 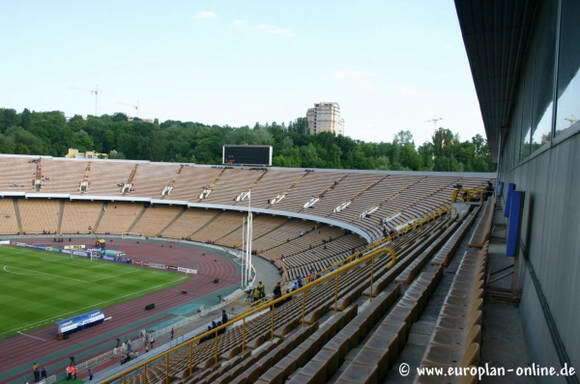 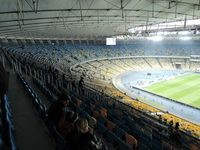 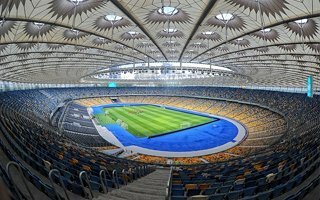 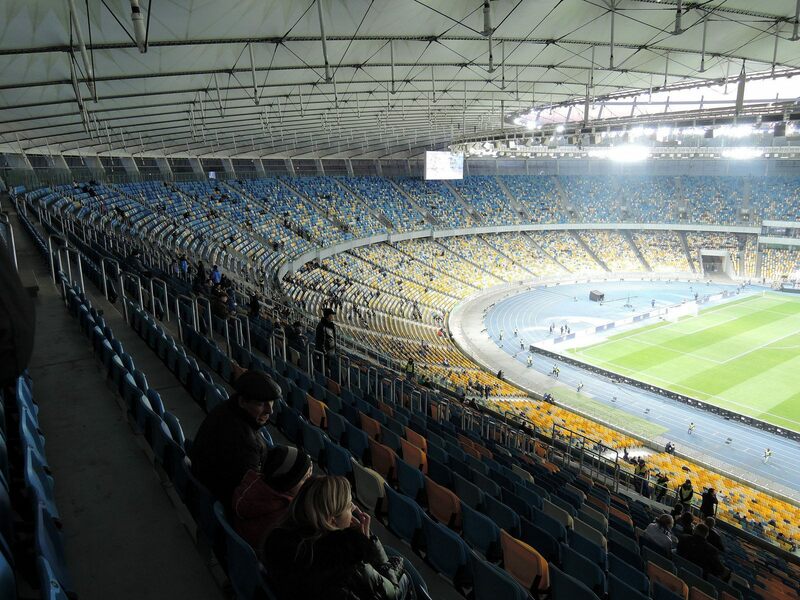 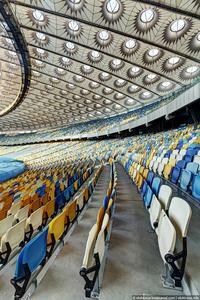 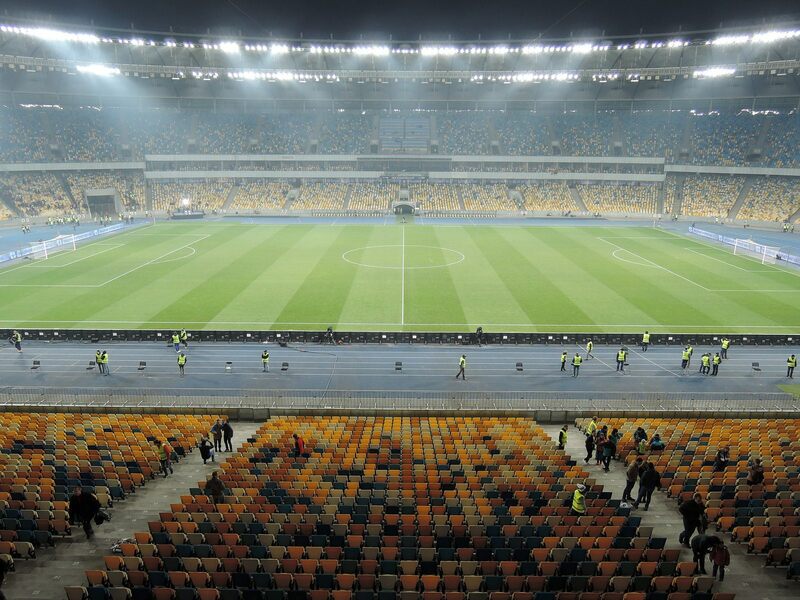 Later on it also received the status of official Ukraine Cup final venue. 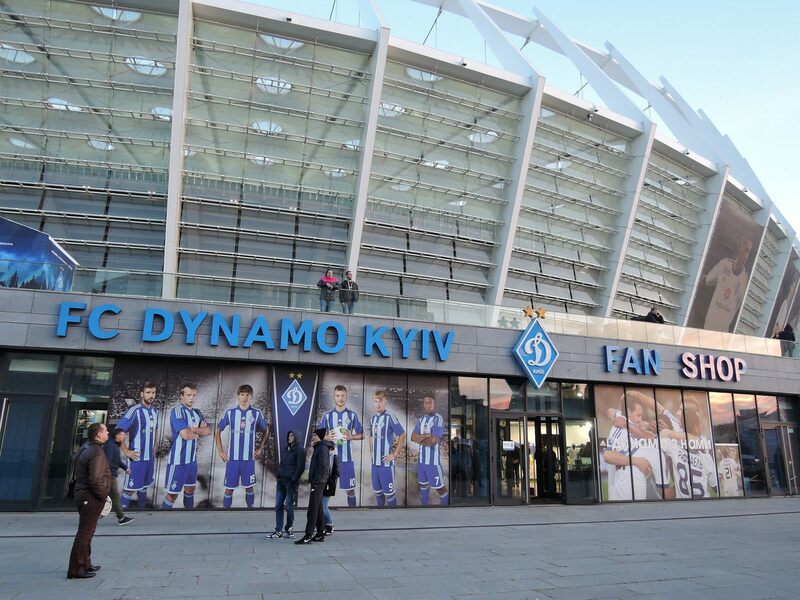 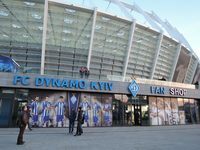 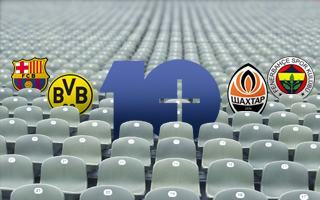 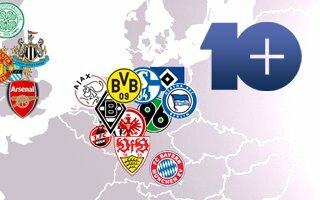 Dynamo also plays here regularly when high profile games are on, though in the past they used to host every game here.